B.A. and A.M., Duke University, 1991. Ph.D., UC Berkeley. 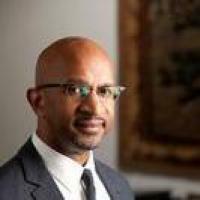 Anthony Kelley joined the Duke University music faculty in 2000 after serving as Composer-in-Residence with the Richmond Symphony for three years under a grant from Meet the Composer. He received his B.A. and A.M. from Duke University in 1991. In 1999, Richmond Symphony premiered his piano concerto, "Africamerica," with soloist Donal Fox. In 1998, The American Composers Orchestra gave the premier performance of a commissioned work, "The Breaks," under the direction of Gerard Schwartz. The Baltimore, Detroit, Atlanta, North Carolina, Oakland East Bay, Marin (CA) and San Antonio symphony orchestras have also performed Kelley’s music. Among his awards and honors are the Charles Ives Scholarship from the American Institute and Academy of Arts and Letters, and composition fellowships from the North Carolina Arts Council, the Virginia Commission for the Arts and the Mid-Atlantic Arts Foundation. His recent work, such as his soundtracks to the H. Lee Waters/Tom Whiteside film "Conjuring Bearden"  and Dante James's film, "The Doll" , explores music as linked with other media, arts, and sociological phenomena. He is a performer in and co-director of the improvisational Postmodern New-Blues musical collective called the BLAK Ensemble.